In former times Nyksund was a booming fishing village. Because of the position next to the fishing grounds a lot of fishermen came to live in the town every winter. But also in summertime it was booming. Even a tinning factory for fish was built. In the beginning of the 20th century Nyksund was provided with electricity. Because fishing was split over the whole Norwegian coast it became too expensive for the Norwegian government. So the administration decided to concentrate a couple of fishing villages in one town. In 1972 the former inhabitants and factories were resettled to Myre, a town which is nearby. Nyksund's harbour was too small as well when the new bigger fishing boats came into use; Myre's harbour is better protected, and the surrounding water is more easily negotiated by boat. 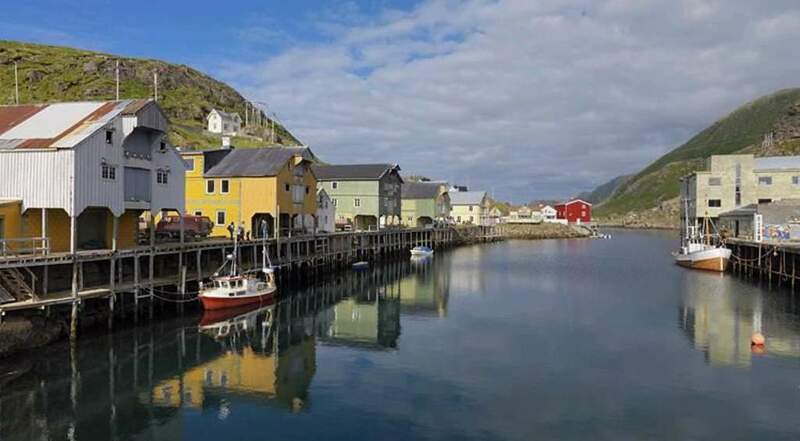 Because of governmental support, the Norwegian state stated condition: the former inhabitants were not allowed to return to Nyksund for the next 30 years. At the beginning of the 80s almost all inhabitants had left the small town, except the old blacksmith. He refused to move until his death. Nobody came to Nyksund during the next years, and so people forgot it more or less, and it decayed more and more. 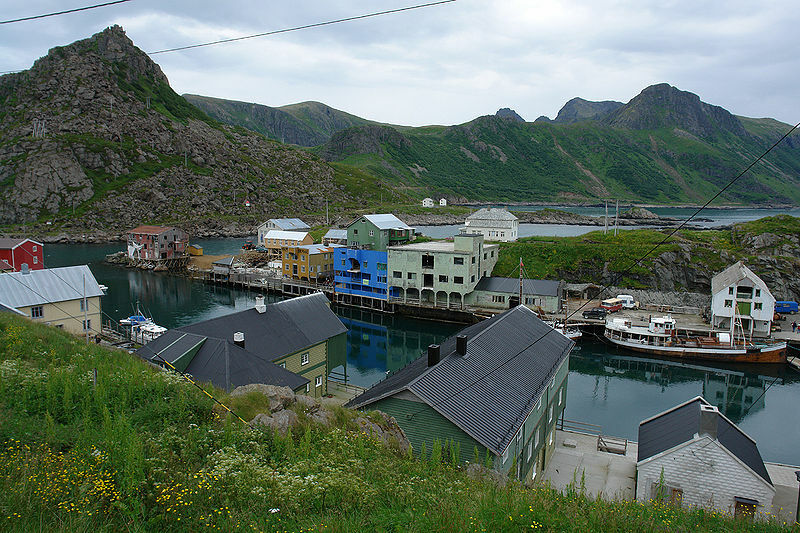 That also happened to many other fishing villages in Lofoten and Vesterålen. Now Nyksund is being rebuilt step by step on one hand to save all the evidence of the old fishing culture.